Filmpoem Festival 2014 was held on Saturday 14th June 2014 in the FelixPakhuis in Antwerp as part of Felix Poetry Festival. 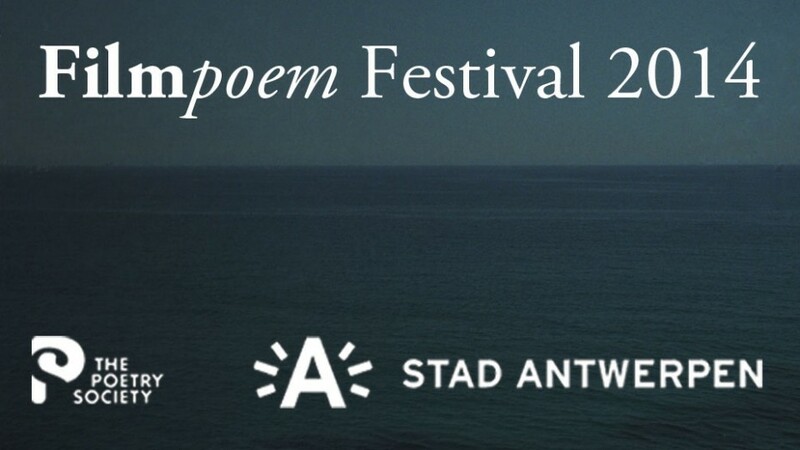 Filmpoem Festival is fully supported by Antwerpen Boekenstad and is working in partnership with The Poetry Society. “Poets, musicians and filmmakers from all over the world converged on a converted packing house in Antwerp, Belgium last Saturday for a day of gorging on film-poems. It was glorious. While last year in Dunbar, Scotland had an element of novelty on its side, this year was carefully structured to up the ante. A group of Dutch and Flemish film-poem artists presented their work, along with the debut screening of the UK National Poetry Competition film-poems, Absent Voices films, conversations with poets in response film-poems of their work that they had just seen, and even live performances of voice and music in accompaniment to film. The scope, variety, and innovation was impressive, not to mention the roster of heavy-hitters in both the poetry and film genres.